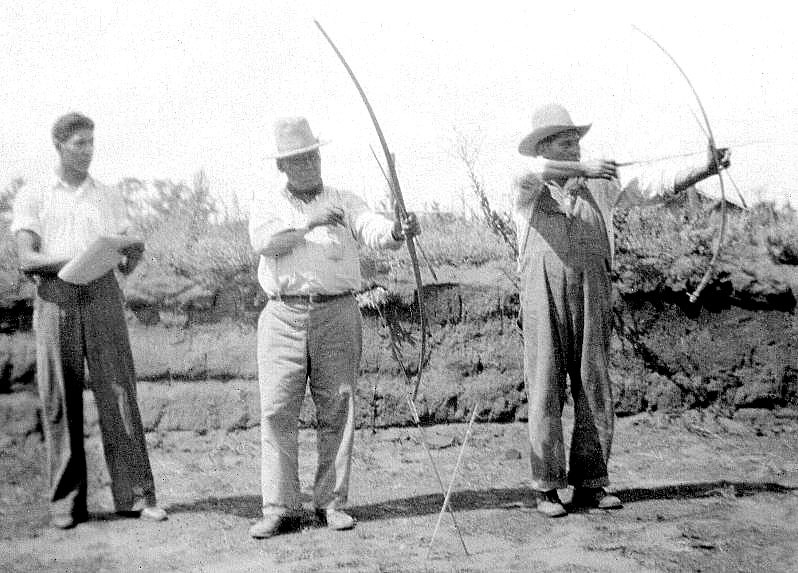 Caddo archers, ca. 1920. Identified on back from right to left as Tillman Murrow, Stanley Edge, and Ralph Murrow. Stanley Edge appears to using a bow made of bois d'arc. Courtesy Marilyn Murrow.